Customer expectations have significantly increased in the past couple of years. This change can be attributed to a lot of factors – technological advancements, improved purchasing capacity and plenty of options to name a few. The customers have come to expect fast response without compromising on the quality of service and rightly so. Having said that, for any business with a Contact Center setup, it is imperative to cater to these demands while optimizing the contact center operations. For the purpose of today’s discussion, we will focus on some of the ways in which Computer Telephony Integration (CTI) can boost agent productivity. The moment a call is connected, a CTI pop-up with the customer information such as their name, contact number, email id, company, and other details are displayed on the agent’s screen. The agent can quickly go through that information and have personalized conversation in record time. Thus, reducing the average handling time. Additionally, in the case of an outbound call, having this information empowers the agents to have educated conversations with the prospects which increases their chances of converting a lead into a sale. For instance, Jack is a sales representative for ABC bank is making customer calls for upselling and cross-selling. While talking to a prospect Linda, he realizes that she already has a home loan from their bank. So, in extension to that, Jack offers her a home insurance plan customized to her needs and manages to close the sale. Having that customer information in front of him helped Jack to tweak his sales pitch according to the customer requirement. Which in turn led to a positive outcome. With the CTI system, the agents are able to make calls from their desktop (computer) itself using softphones. They do not need to rely on any hard-phones. Which basically translates into eliminating the need for the agents to hop between a desk phone and making calls via their desktop. CTI allows it to happen on one screen itself. Additionally, the agents can perform any call actions on the CTI telephony panel such as receiving a call, putting it on hold, transferring or have a conference call with a single click itself. This not only saves the agent’s time but also increases their productivity. A contact center agent handles numerous calls in a day. Be it inbound customer queries or making outbound sales calls. So, it is not uncommon for them to encounter situations where they have to add or edit the customer information such as changing the registered mobile number, adding a secondary contact number, updating a different email id or changing the customer’s address details. This means the agent having to log in to different systems to update the same information, This just wastes their time. A computer telephony integration system which comes with a single-sign-on (SSO) capability can easily solve this problem with real-time reverse feed. For example, While pitching home insurance to Linda, she asks Jack to email her the quote and other policy details. At which point Jack realizes that her email id is not there in the system and asks her for the same. With CTI in place, he updates the detail in the CTI popup. This data is automatically pushed to the CRM or other third-party databases in real-time. Thus, eliminating the need for Jack to login to the CRM separately to update Linda’s email id. CTI tools can be used to route calls to the right department or agent. This routing mechanism can further be enhanced with configurable routing algorithms based on certain factors such as the agent’s skill, the marketing campaign from which the call was triggered, the time of the day or geographical location. For example, a call coming in from North India will be routed to a Hindi speaking agent (unless the customer opted for English on the IVR). 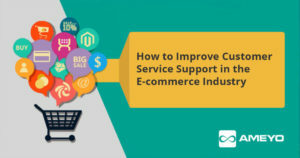 This will help in resolving the customer queries faster and more effectively as opposed to the customer being transferred from department to department. Moreover, if the call is connected to the right agent in the first go, it saves the agent’s time. Rather than taking the details and then transferring the call she/he will save time on small talk and solve the query there and then. Gone are the days when customers used to only contact a business over a call or an email. They have progressed to other channels as well. Such as social media or live chat. So, for a contact center agent, any interaction, irrespective of the channel needs to be handled with utmost care. CTI allows the agent to perform multiple tasks while on a call with the customer. Explaining this with an example, Jack, a contact center executive receives a call from a customer, Jane. The moment the call connects, a CTI-popup appears with Jane’s details and her open tickets. Jane inquires about the status of her pending request for a new credit card for which she dropped an email the day before. Jack quickly views the ticket and provides an update. He also reverts to her email there itself (on the same interface). Additionally, he attaches the current ticket (created via voice) to the existing ticket (created via email) since their context was same. How CRM Integration Boosts Agent Productivity?